Katie Hall, center, celebrates on the podium following the 2018 Colorado Classic on Sunday, Aug. 19, in Denver. 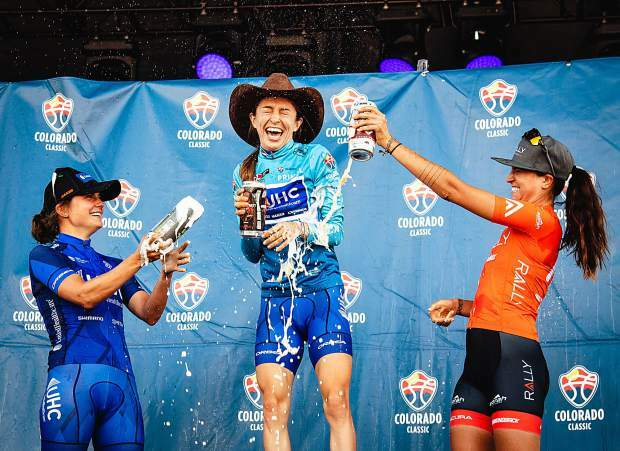 Hall's teammate, Leah Thomas, finished second in the four-stage professional cycling road race, and Abigail Mickey of Rally Cycling finished third. 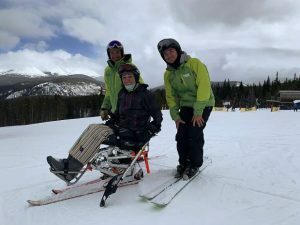 Following an incredibly aggressive final day of racing on Sunday, Aug. 19, UnitedHealthcare’s Katie Hall came away with the 2018 Colorado Classic overall race victory, adding to her remarkable streak of U.S. stage race wins. After taking second in Saturday’s stage, Ryan was one of the leaders digging deep across the line, head down and grinding the pedals down the homestretch of Stage 4 presented by Gates Industrial Corp. on Sunday. She finished a wheel ahead of Emma White (Rally Cycling) as Allison Beveridge (Rally) rounded out the Stage 4 podium.